Notebook vector design with calendar and pens. 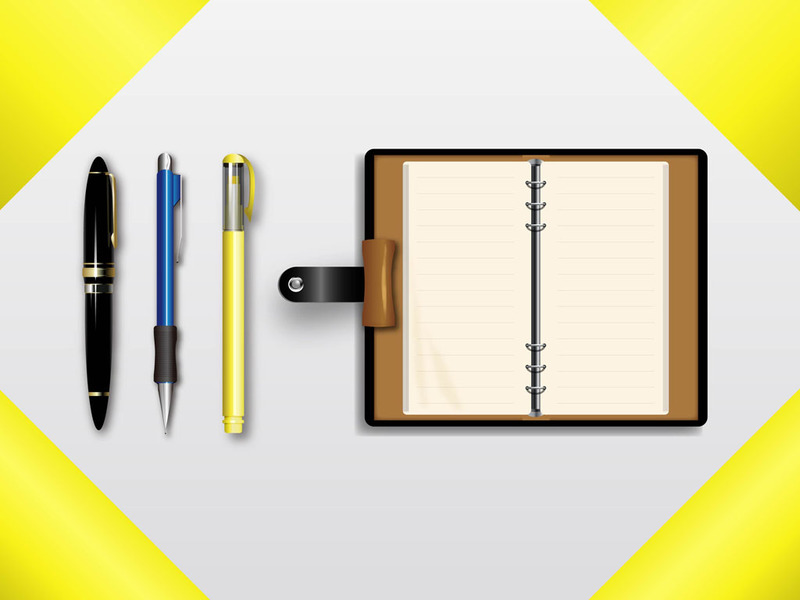 Realistically rendered vector graphics featuring a classic day planner and pen and pencil set. Glossy highlights and soft shadows add the feeling of depth and volume that's needed for realism to the free download. Just copy and paste these well-crafted graphics into your business and office themes. Useful stationary vector footage to add to your binder, office supplies, address notes, daily activities, book, scheduler, project planner, organizer and paper stock images library. Tags: Activities, List, Month, Office, Organize, Paper, Pens, Schedule, School, Timing.